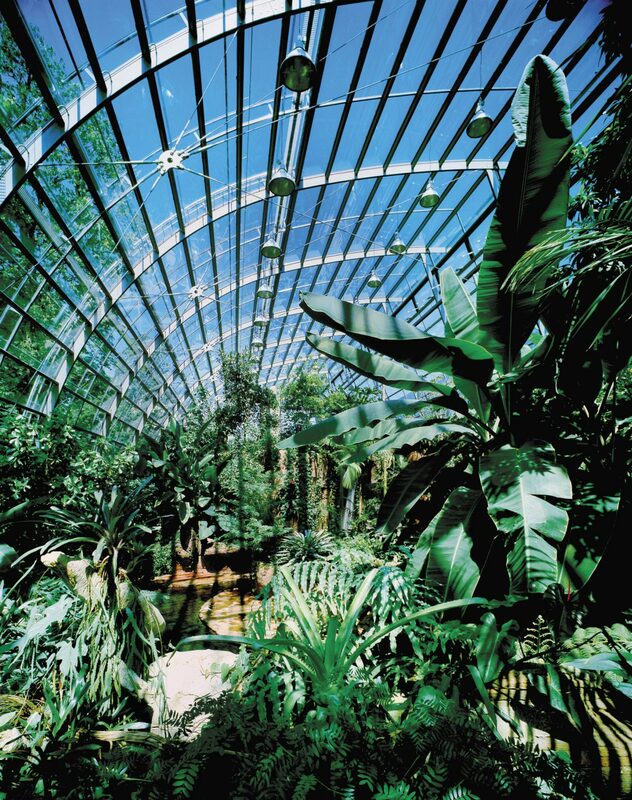 The Wilhelma’s Amazonia House is a large greenhouse in the Zoological and Botanical Garden in Stuttgart. 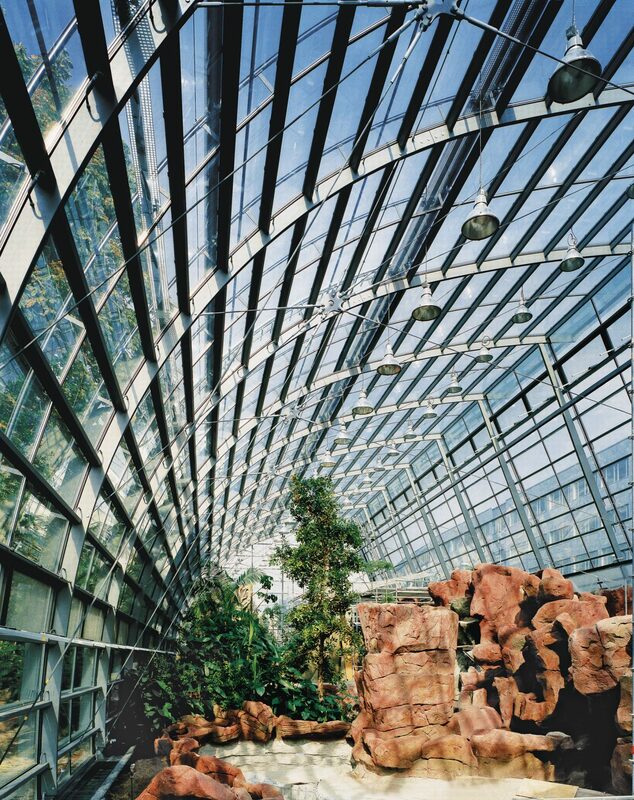 With 350 different species of plant, the single-bay hall of the greenhouse, almost 60 feet wide and 46 feet high, displays a section from the rainforest landscape of the Amazon, with its flora and fauna. The arched steel structure is spanned by ropes. 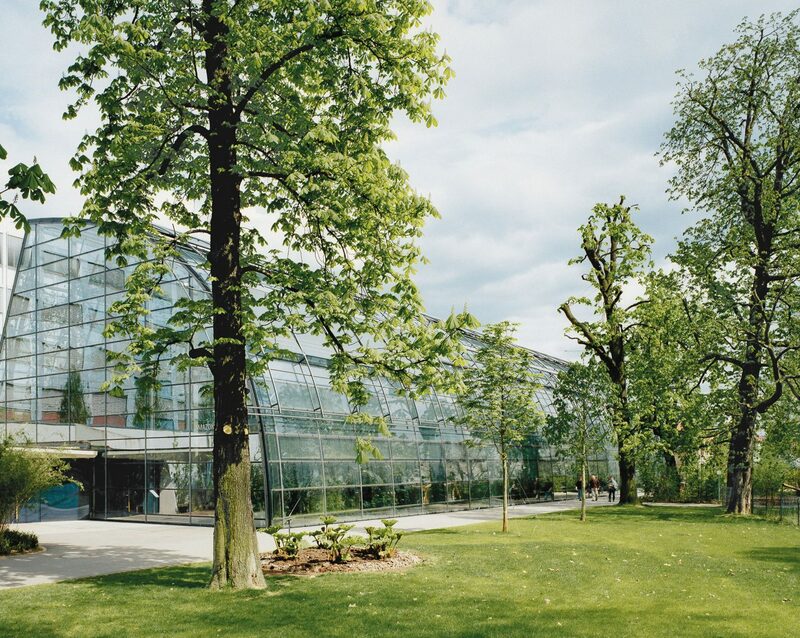 The double insulating glazing is executed in a polygonal design and is specially matched to the needs of the plants, with sufficient daylight being admitted. The special glazing support profiles are glued around the edges and fitted with integrated heating.